This review is for the service department: I will begin by giving them kudos for being upfront with their prices online and before you receive the service. The reason for the 4 stars is because of 1) the timing. It took 7 hours for the car to have an oil change and “tune up”. 2) I’ve had my Civic serviced in 4 different states and have ALWAYS received a complimentary exterior wash, and for a $445 job they could add that here?! It wasn’t snowing or raining! I would return here because of their fair prices but I’ll definitely think it twice and drive a little further for the courtesy. Great customer experience working with Chris Siegel in the body shop. I had damage done to my vehicle by a car wash and Chris was very professional and accommodating from the first call I made to Van’s thru the repair. Chris went above and beyond and provided exceptional customer service rarely found these days. 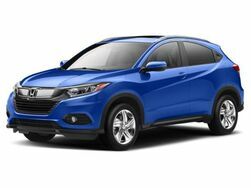 I would recommend you visit Van’s Honda the next time you need a vehicle. 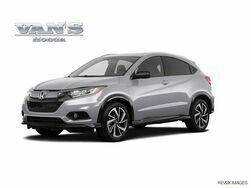 So I have been going to Vans Honda for 2 years and have never had a bad experience. I have brought my car in to be serviced and have even went there to shop for a new car. Never, have I ran into a pushy car salesman. They are very understanding and give you the room to think. Outstanding. Bought a new vehicle, no pressure. Got a fair price for trade in. Sales person very friendly, finance manager very informative, friendly and caring. Over all outstanding experience. I am writing this as an employee and not a buy (yet). This place is great to work at. Very involved management that work very hard to make you feel like this is a career not just job. Warm friendly atmosphere with years upon years of car knowledge and advice. Great first step to anyone looking to start at a Dealership. My wife and I have purchase seven cars from Vans Honda (1 used, six new vehicles). We typically drive our cars about 80,000 miles before trading in for a new model. Vans has always treated us fairly. Jeff B. has always been very professional and when Jeff has not been available - the other sales staff has been more than willing to help us (even though they knew they were not getting any commission). 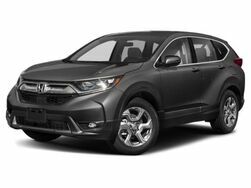 Six new Hondas - and we have never had to spend any money on repairs (just oil, tires, gas and an occasional windshield wiper blade). That is why we are big fans of not only Honda but Vans Honda as well. 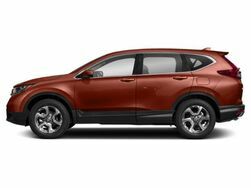 After contacting and working with a few dealers, we decided to purchase our 2012 Honda CR-V from Vans Honda in Green Bay. The sales and finance staff were courteous, efficient and never made us feel pressured. Our sales guy, Tom Willems answered all questions promptly and was a big reason in why we chose to go through this dealership. I would highly recommend Vans to anyone in the area who is interested in a Honda. I was thoroughly impressed with my experience at Vans Honda. I was drawn into the dealership by their website. Being a single mother it is difficult to get into the dealership and spend the time necessary to research a family friendly car, but I found the website to be incredibly useful. When I finally got a chance to make it to the dealership in person I went in for a used car but then ended up looking over the new cars and considered the leasing option. They were very helpful in so many ways especially the little things like getting water and letting me take my time in choosing what I wanted. I was very impressed with their salesperson. I believe her name was Nell. I was impressed by the fact that she was not pushy at all and walked me around to look at all the models for the car I wanted. She was very patient with all of the questions that I had and she was easy to work with. We had been to 3 other dealerships and this was by far the best experience for me. The price was very reasonable and the deal Nell made me was far better than any other dealerships had offered. After all was said and done we were offered a better interest rate, a better price and better experience over all. Van's Honda treated me with respect. I will definitely be going back to them when I am going to look for a second car and would recommend this dealership to anyone that is in the market to buy a new car.